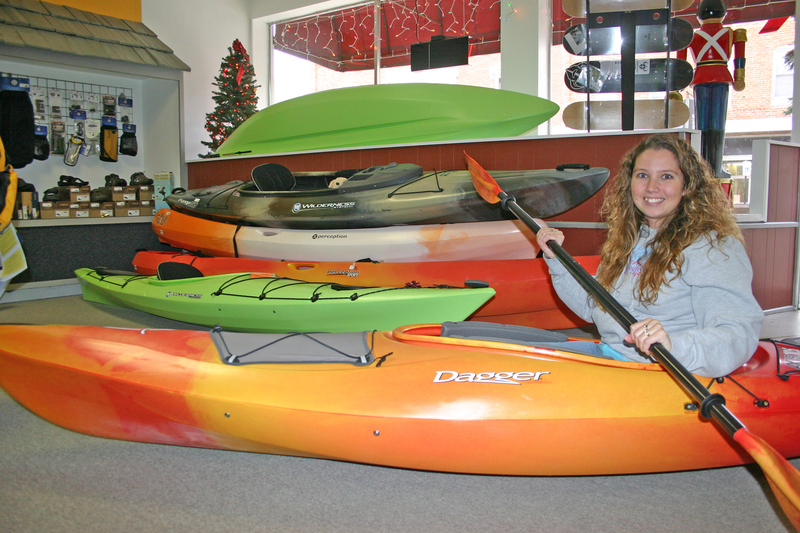 Whether one is interested in kayaking or renting a movie on a chilly Friday night, one of Blissfield’s newest businesses, Michigan Extreme Outdoor, can help. Michigan Extreme Outdoor offers a variety of items, including kayaking gear and equipment, skateboarding equipment and apparel, shoes, clothing and sunglasses, bike equipment and gear, as well as DVD and Blu-Ray rentals, and even carries a selection of candles from Swan Creek Candles. The store is owned by Matt Slusher and April Leffew, and managed by Tasha Stearns. It is located on Lane Street in Blissfield’s downtown. Copyright 2012, River Raisin Publications, Inc. For the complete story on this new Blissfield downtown business, please see the Nov. 28, 2012, edition of The Advance. Please call 517-486-2400 to subscribe.